1. Kate and Lauren helped me go through my closet and styled cute outfits for me. We almost lost Kate in all the clothes! 2. The girls also helped me get rid of a lot of clothes that no longer fit or were in style. It was such a great feeling to downsize and really only have the necessities in my closet. 3. I did a style post earlier this week based off an outfit that the adore Jillian Harris once wore. It made my little heart happy when she retweeted the link the other day! 4. Thank so much for entering my giveaway this week or ordered. It makes my heart happy to no end. I recently decided that I'm going to try and take a trip to Haiti this year, so your orders are helping to make that a possibility. Thank you from the bottom of my heart! 5. I sat on the edge of a golf course yesterday sending a bunch of emails as well as soaking up His beauty and creation. I think my soul might have taken a deep sigh of relief because I felt so much better after I left. OK, that top pic.... Kate would look adorable with short hair too! I love a good soul-breathing time in the beauty of nature :) God is so good. Here from H54F :) Your blog is too adorable! Man, cleaning out the closet is never my favorite thing to do, but I ALWAYS feel so much better once its done! Props to you for getting rid of so many clothes! 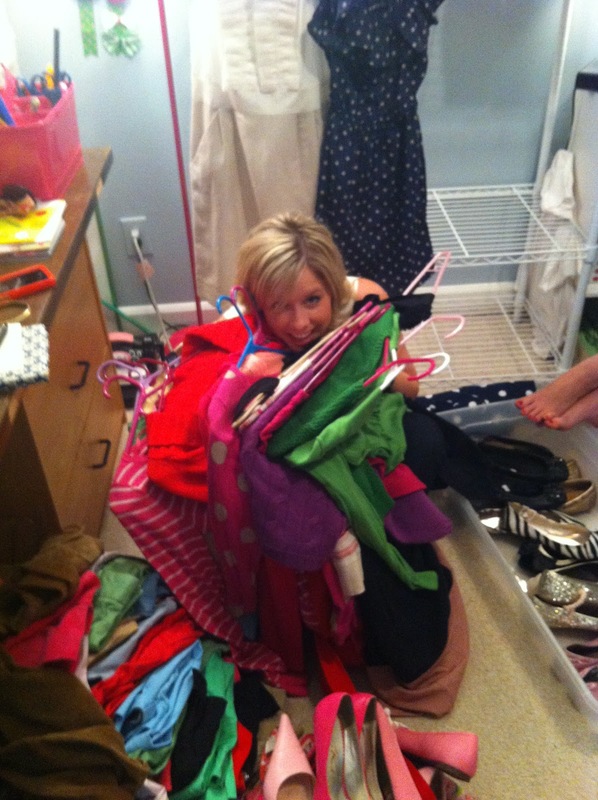 If you glanced into my closet, you'd probably believe I was a hoarder. :) Maybe Kate & Lauren should lend me a hand too! How awesome to do that with friends! I think I need to invite some of mine over for help. I've gone through my closet multiple times this year. About the time I get it whittled down, my mom or sister send me a batch of hand-me-downs that I love. So then the process starts again. Ha. I need to purge my closet but I've been too lazy! A trip to Haiti sounds exciting! sounds like you had such a fab fashion week!!! hope you had a great weekend, friend! I need to come steal all your thrown out clothes :) LOVE YOU!